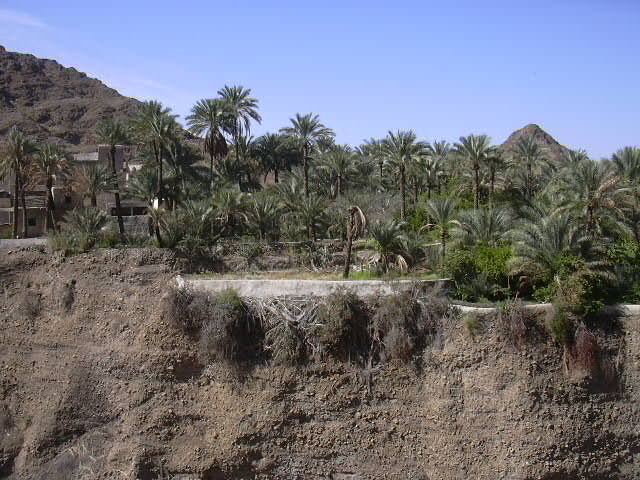 Wadi Subaitnah is a small, horseshoe shaped oasis located at the head of Wadi Jizzi, not far from A'Dahir. 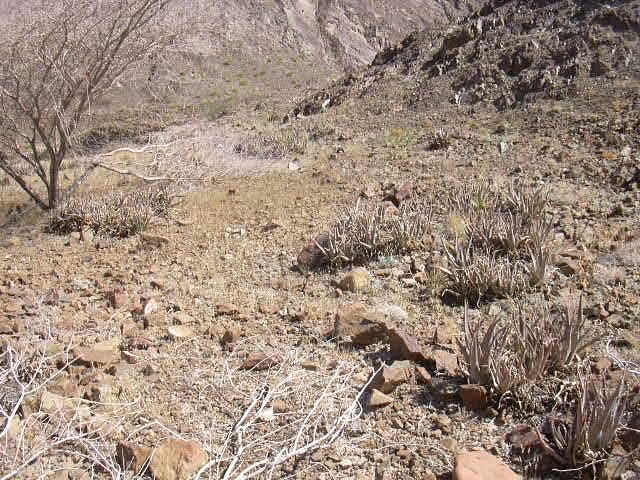 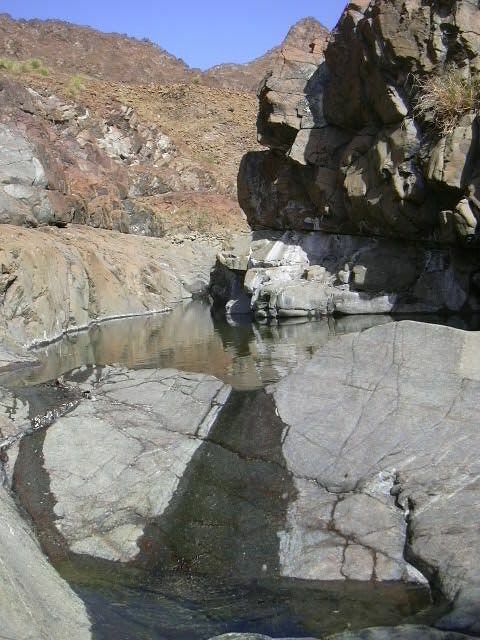 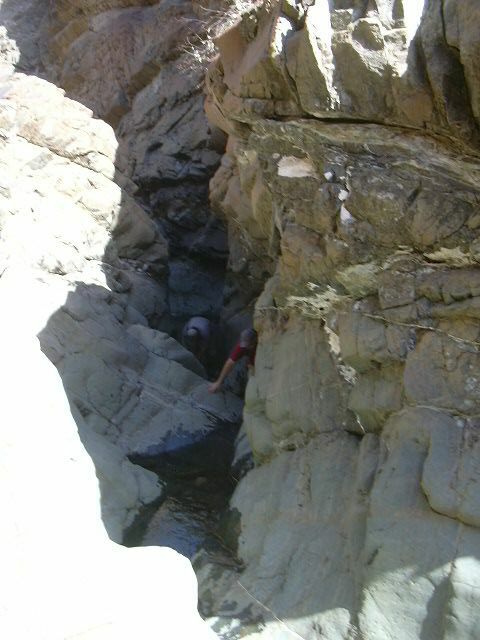 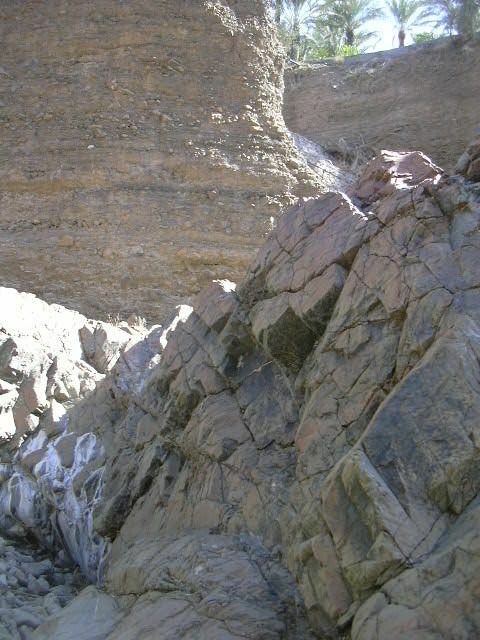 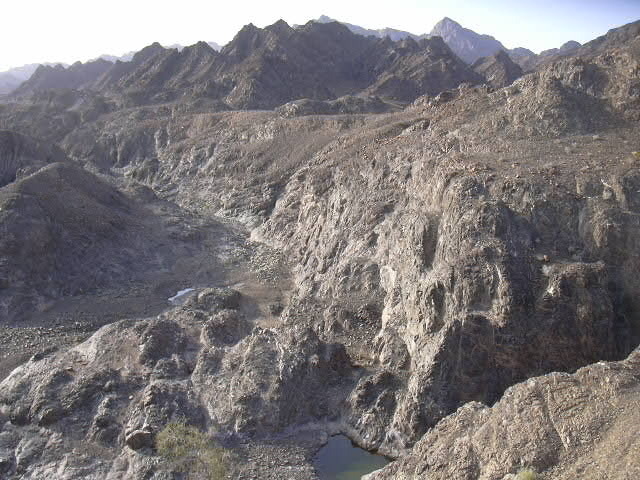 One of the highlights of the oasis is the wide, deep gorge that winds through the conglomerate. 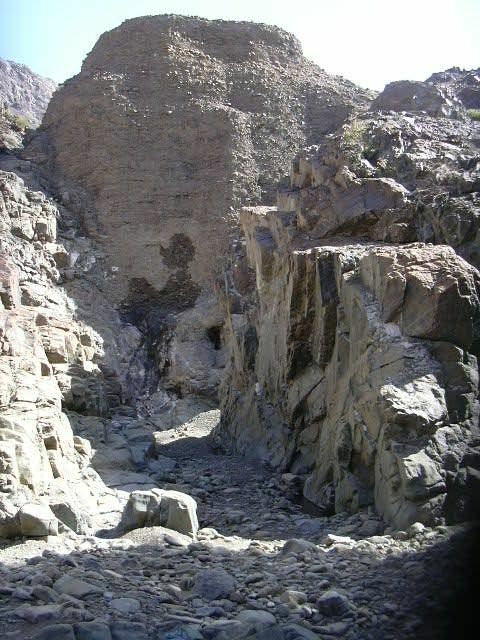 At the entrance to the cultivated area, a thick, wide bridge has been constructed; there is evidence that residents once used a steel rope and pulley system to move supplies from one side of the gorge to another. 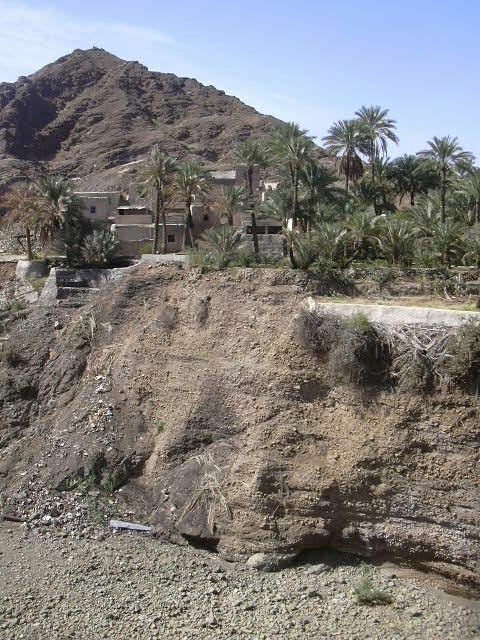 On most of our trips to Subaitnah, we observe the falaj system which is constructed on the southern side of the gorge and leads to a deep pool where the weir has been constructed. 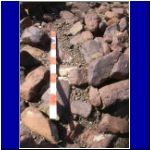 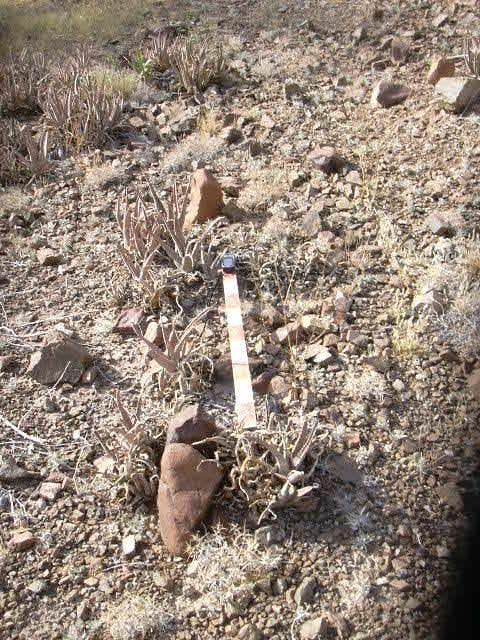 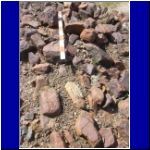 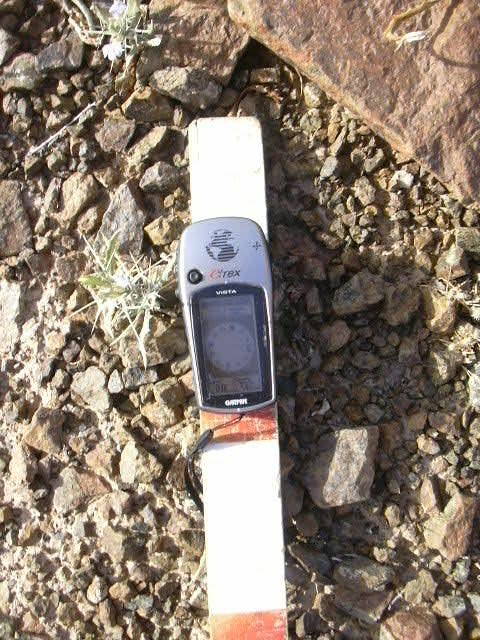 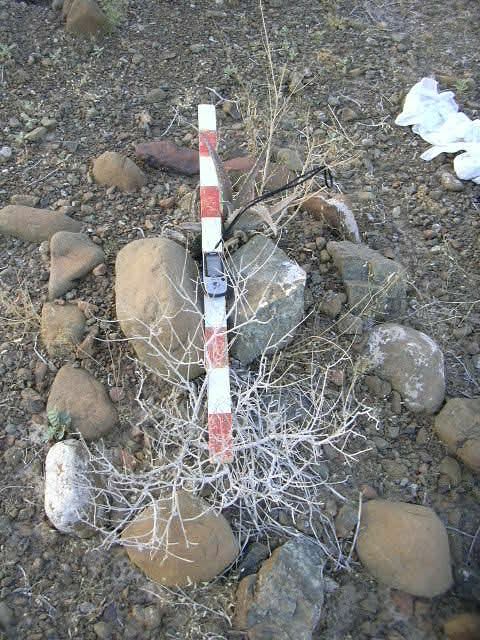 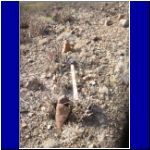 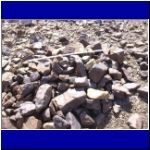 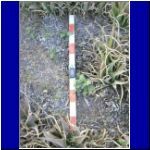 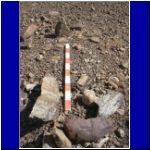 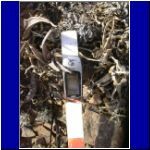 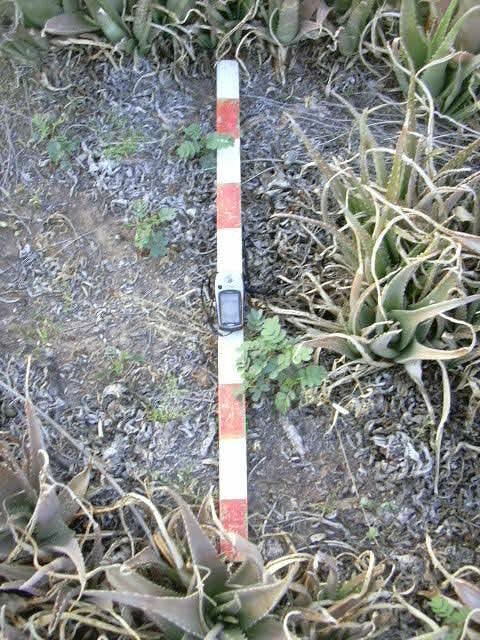 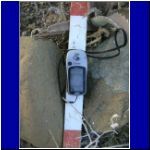 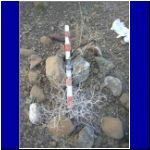 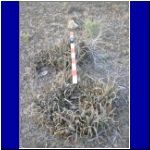 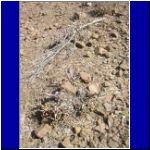 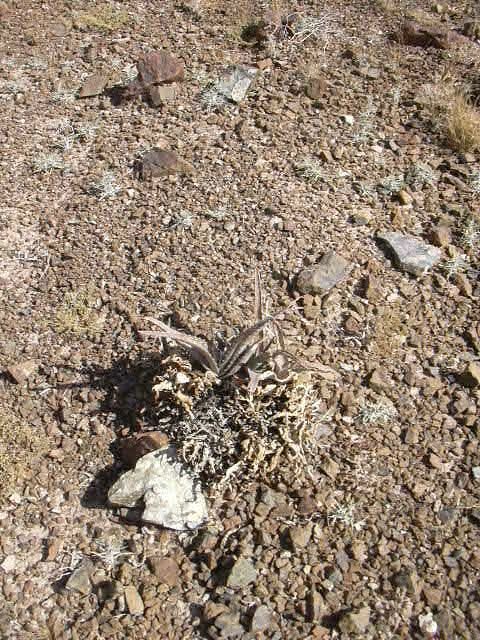 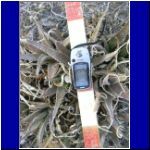 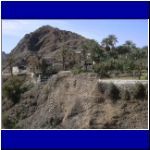 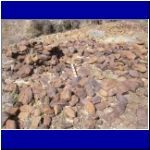 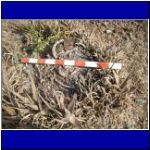 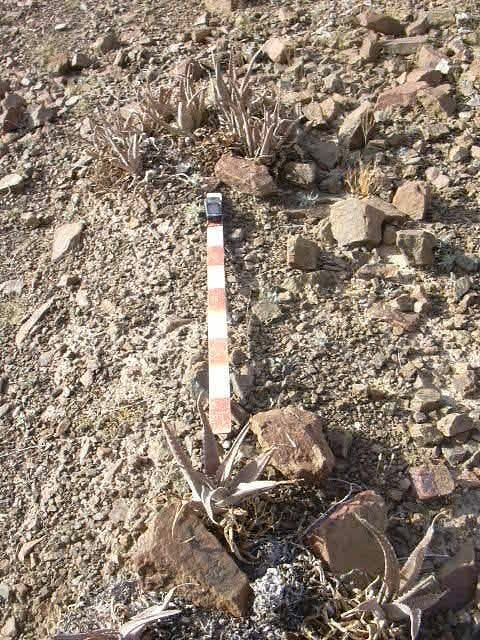 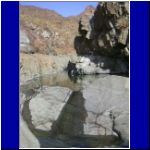 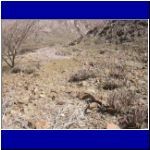 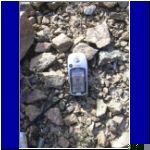 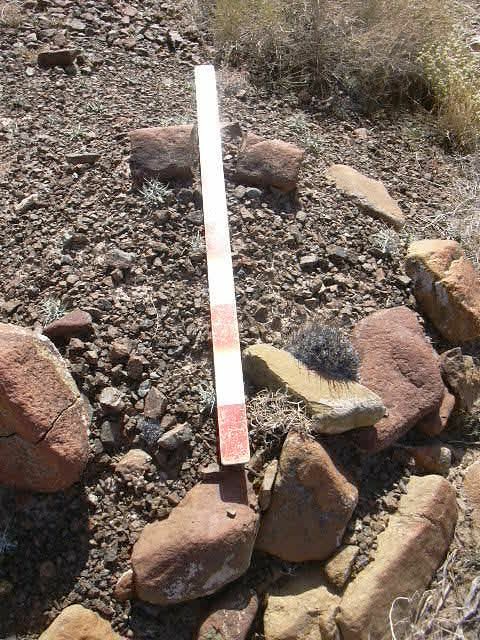 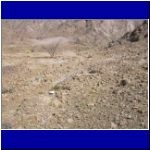 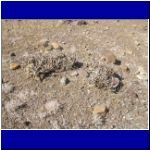 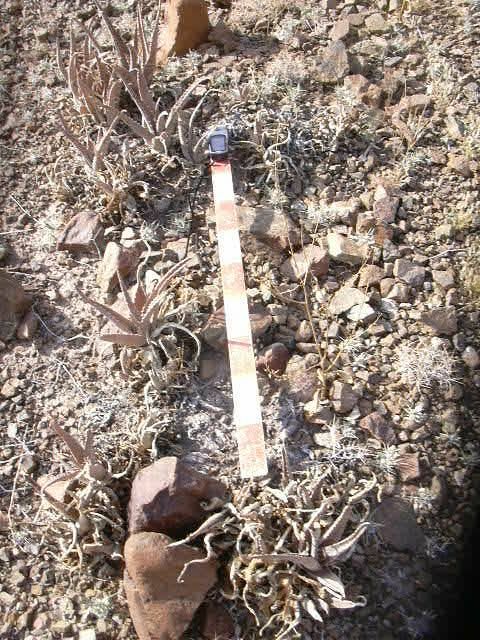 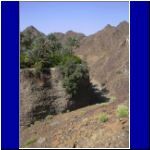 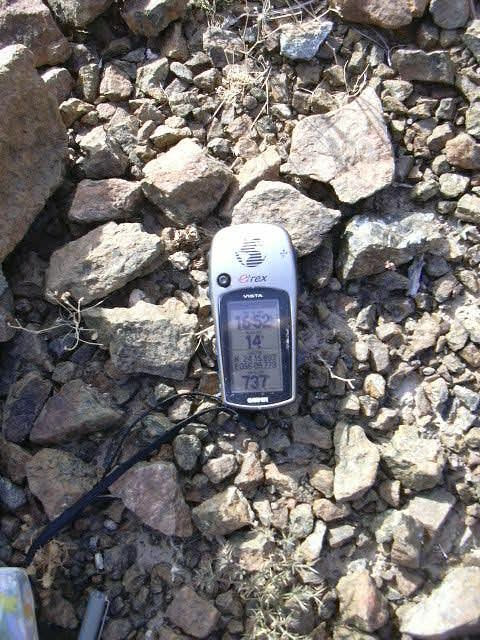 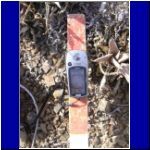 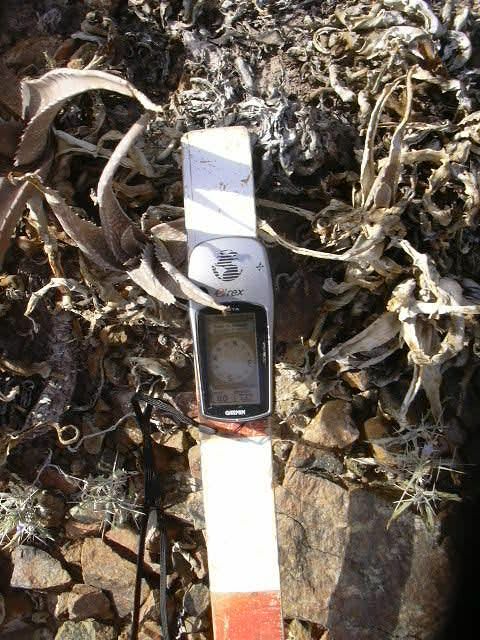 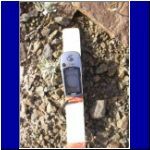 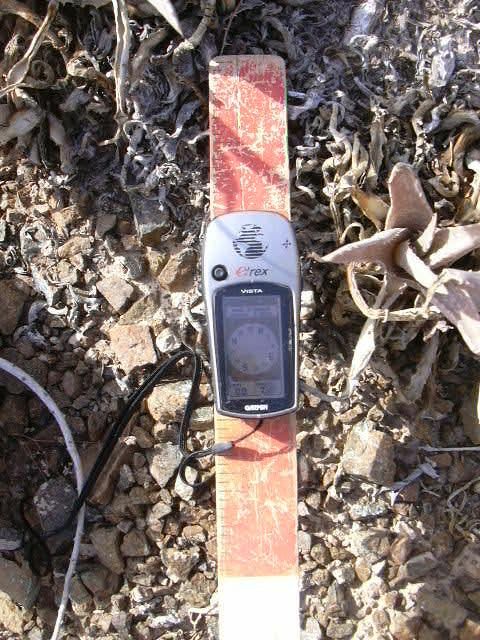 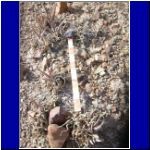 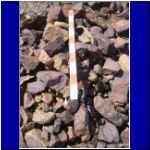 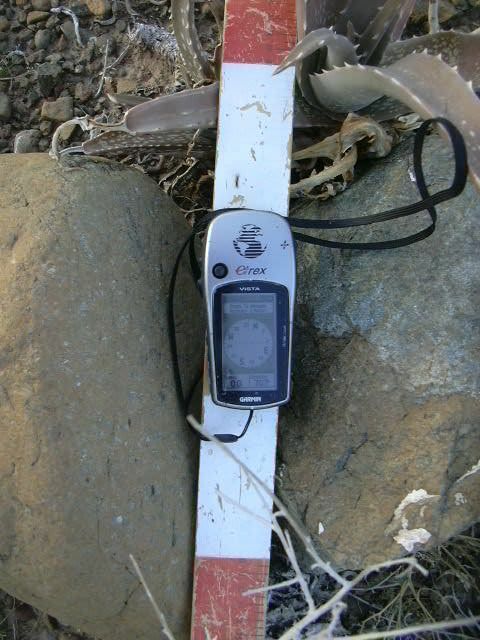 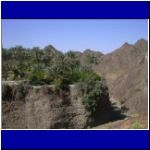 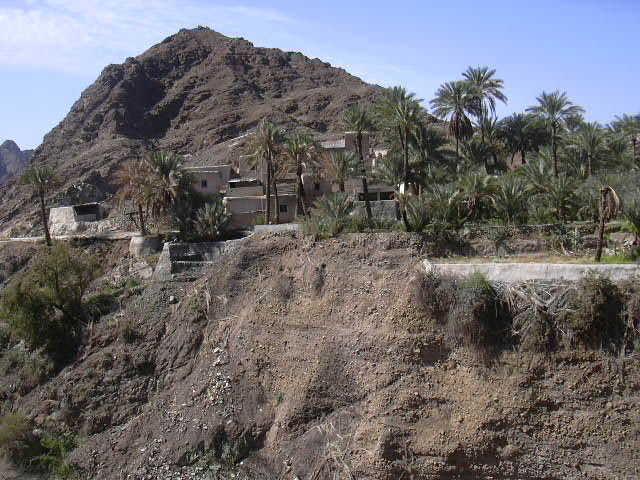 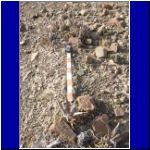 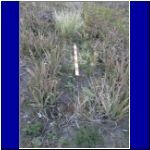 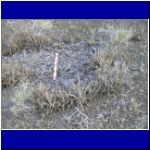 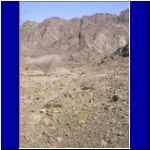 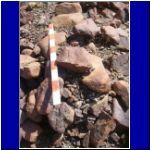 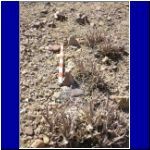 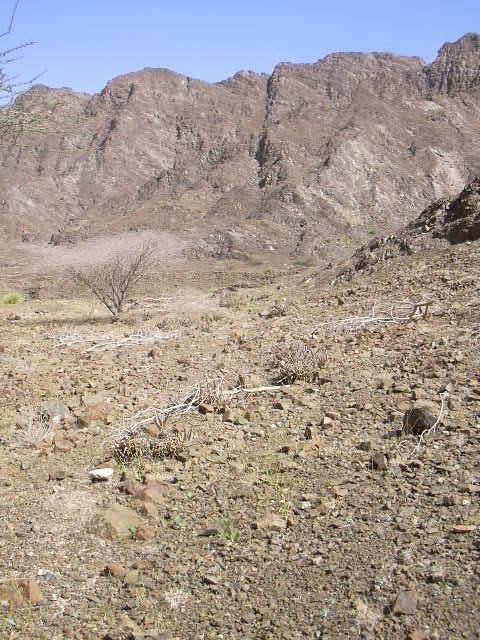 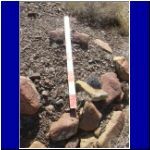 In 2004, however, we first investigated the constructions on the opposite side of the gorge and, in 2005, first noticed the presence of aloe vera plants on and near Islamic graves. 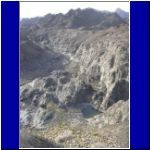 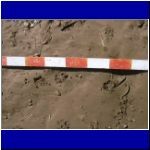 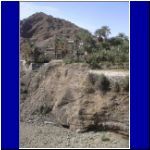 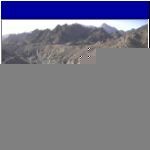 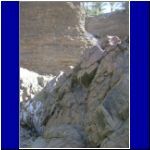 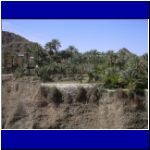 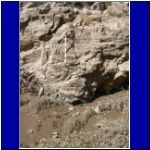 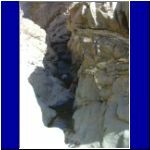 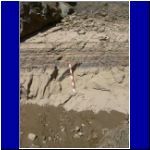 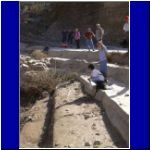 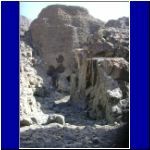 The photos in this collection follow the route up the wadi from the bridge and onto the gravel plain where the constructions and graves are located. 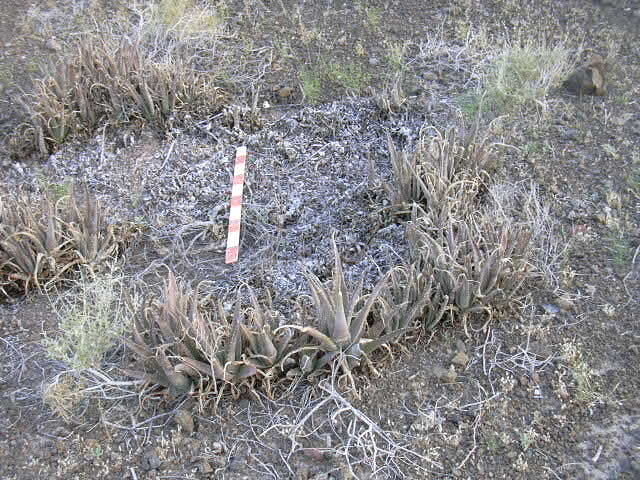 On many of the graves at Subaitnah, the aloe vera plants appear to be growing in a ring. 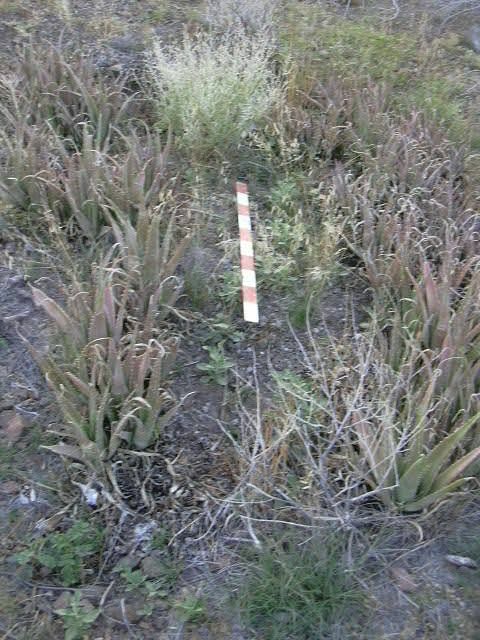 One hypothesis is that a single plant was planted on the grave and, over time, the plant has multiplied and expanded outward from the original plant. 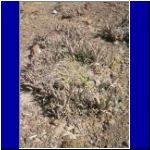 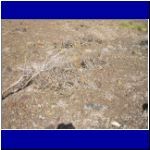 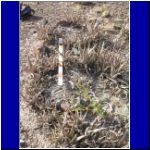 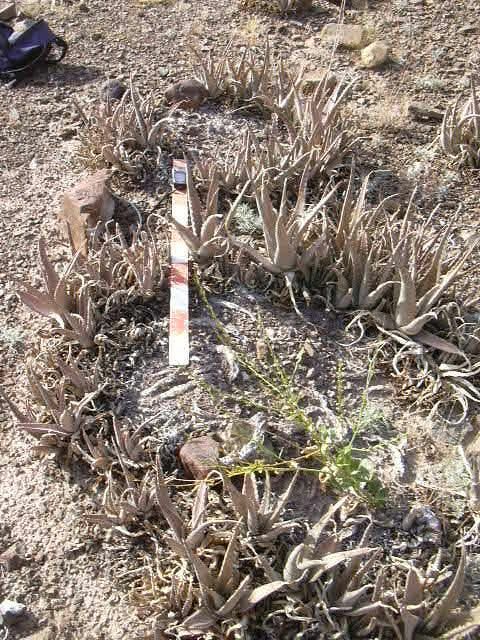 Given the climate and soil conditions, one could speculate that it would take hundreds of years for a single plant to expand to a circle of plants with a diameter of a meter or more. 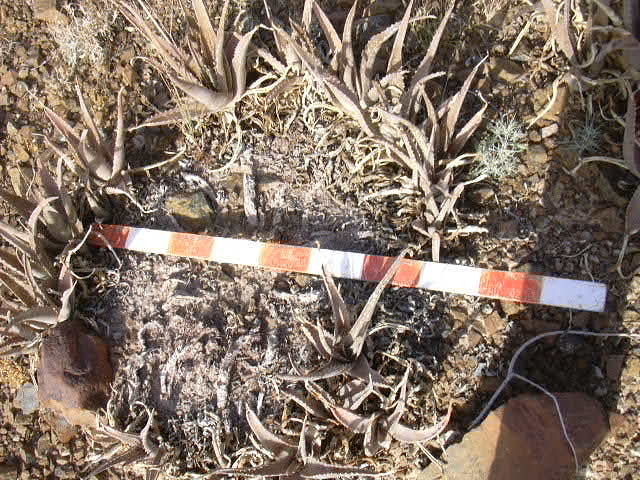 We have now begun to look for aloe vera growing on or near graves. 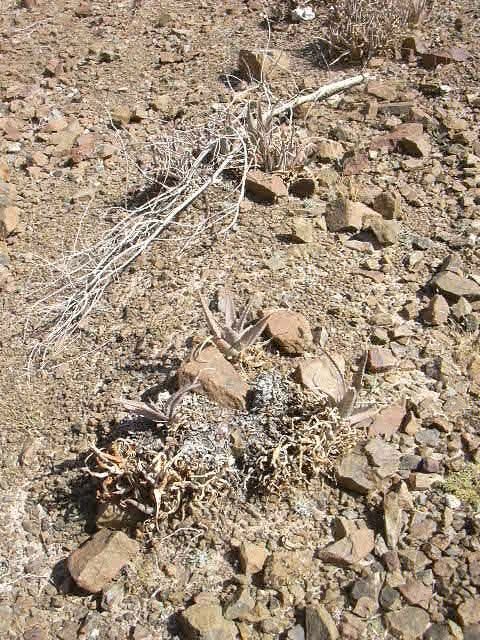 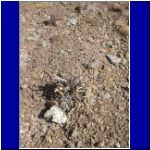 To date, we have not found the plant growing in the wild alone; it is always growing at grave sites. 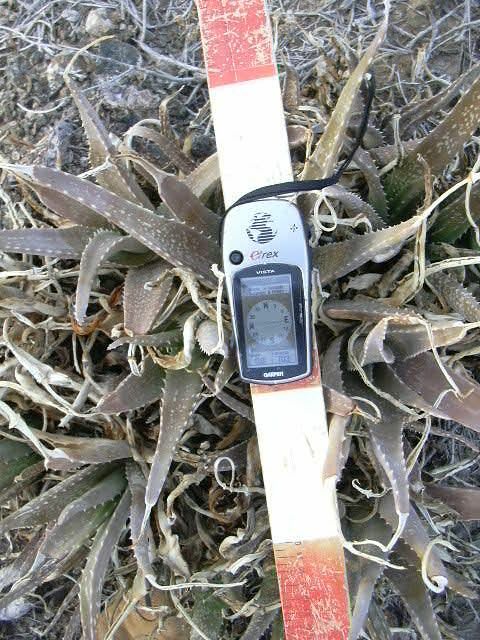 Aloe vera, because of its medicinal qualities, is often a cultivated plant in an oasis, as we see at Khudrah, for example. 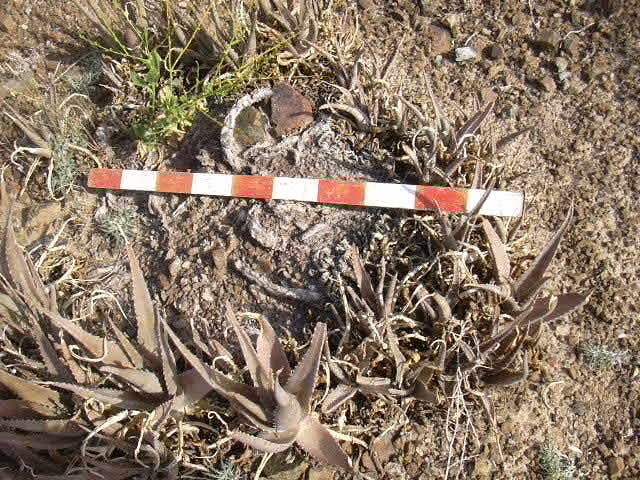 The presence of aloe vera on graves was noted by Marjcke Jongbloed in her book Wildflowers of the United Arab Emirates. 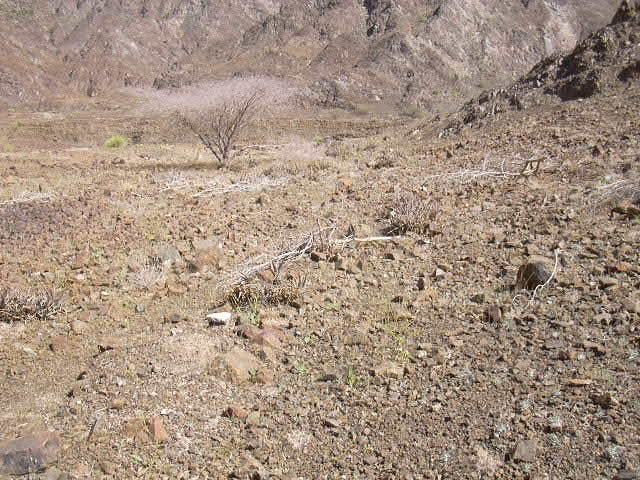 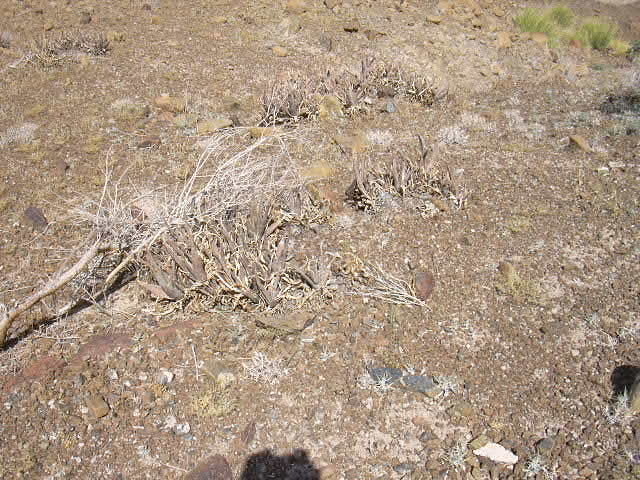 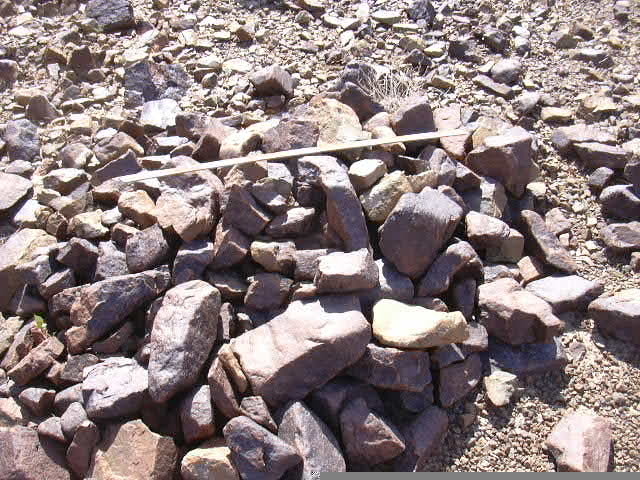 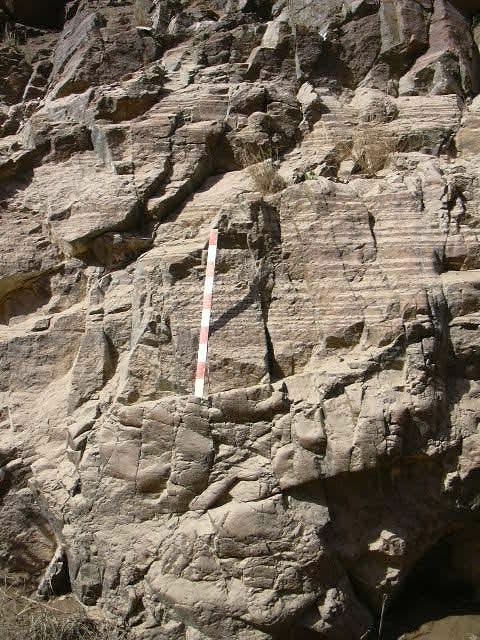 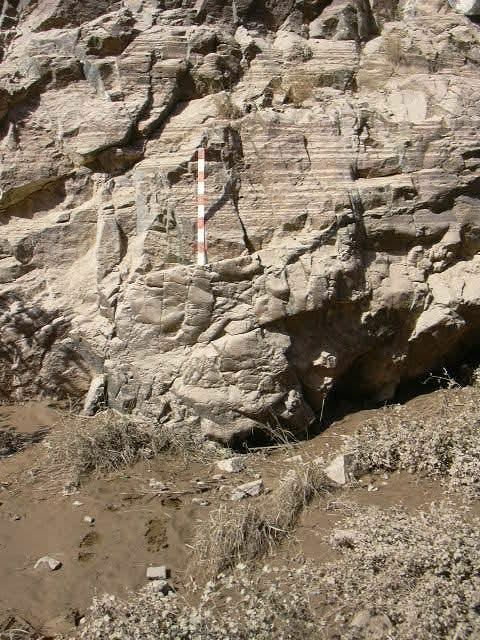 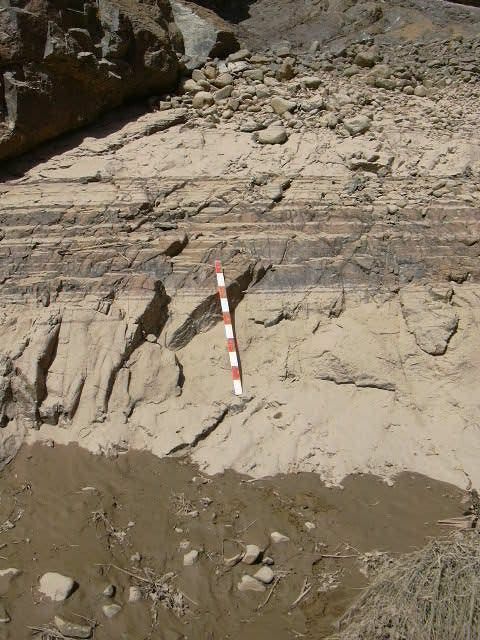 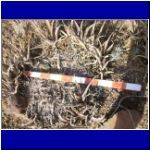 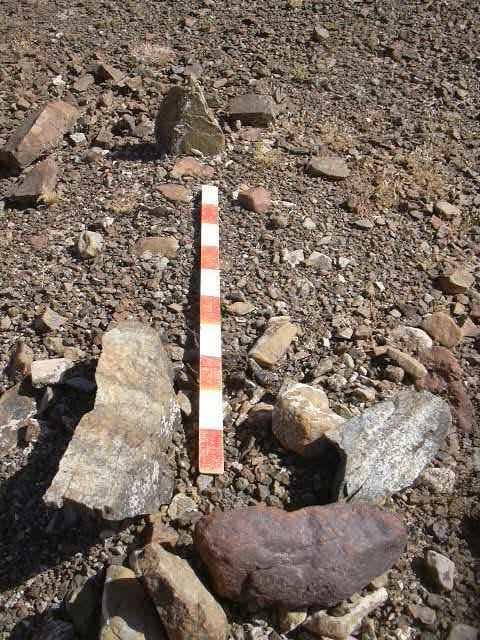 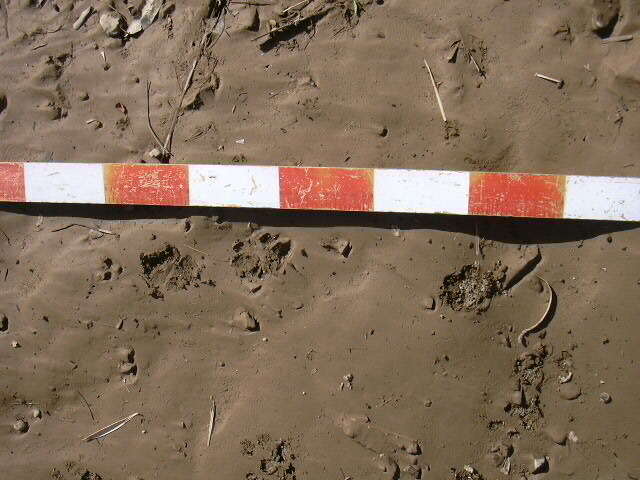 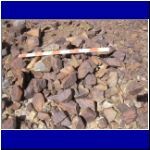 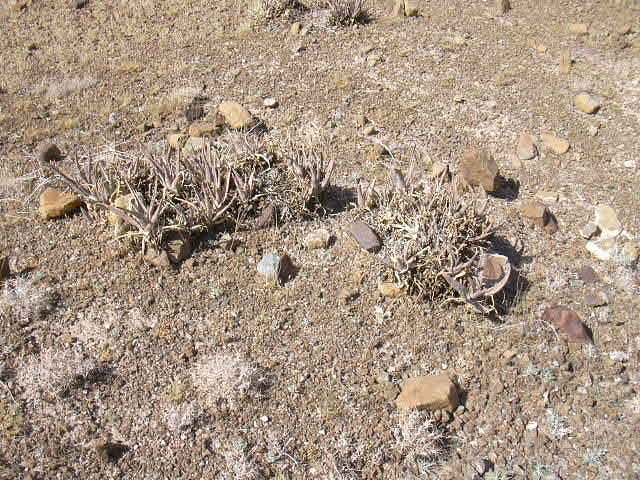 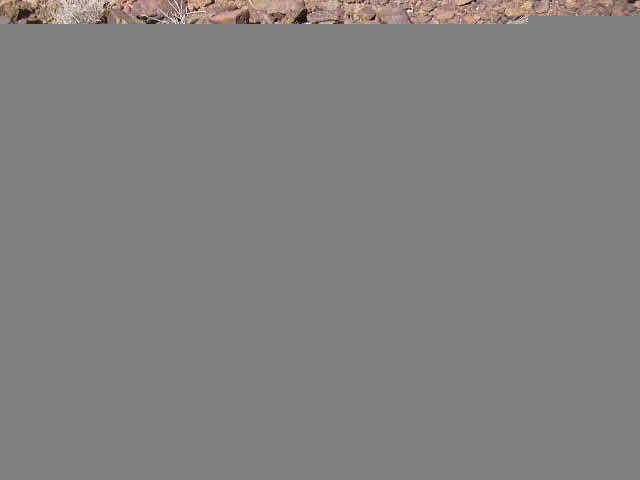 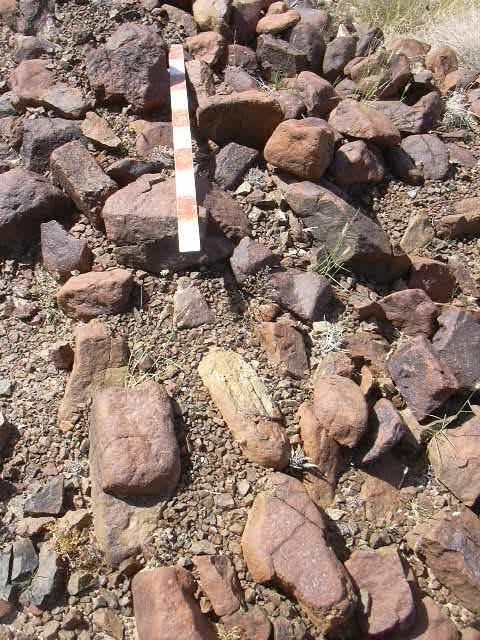 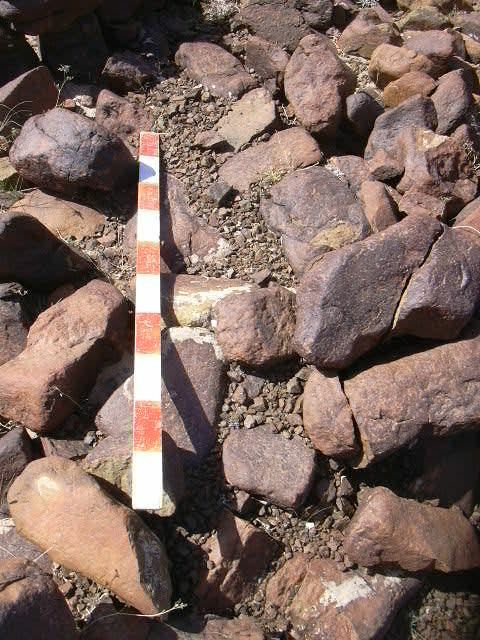 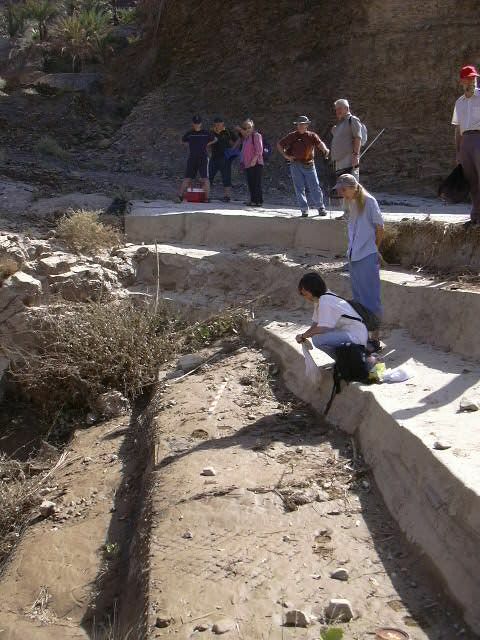 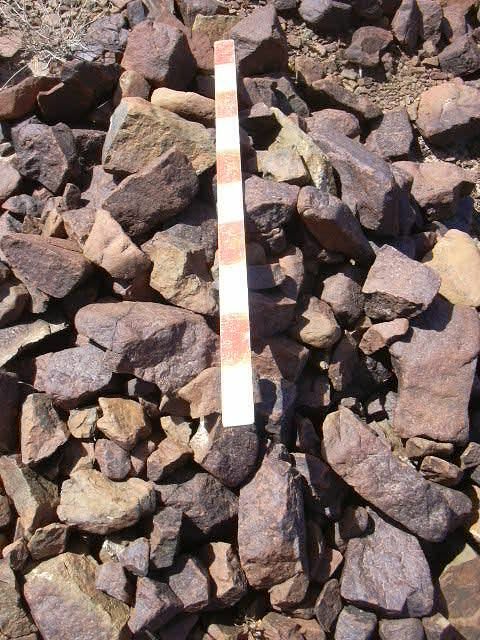 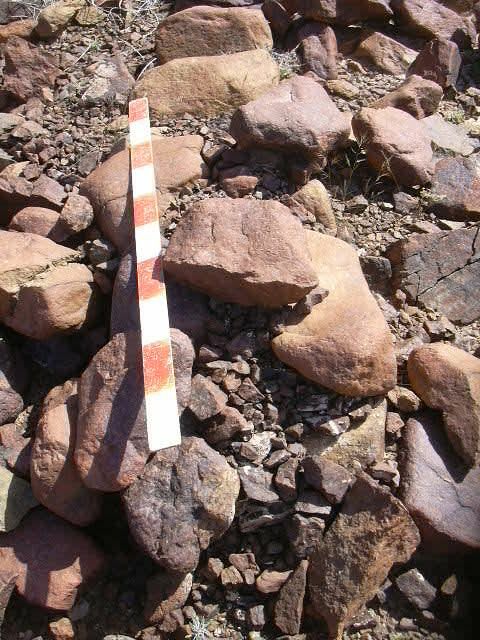 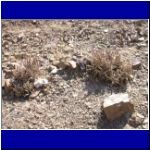 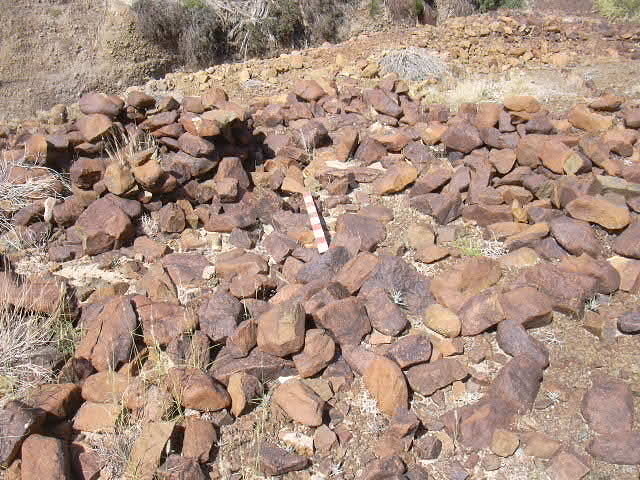 The wadi bed consists large of exposed "bedrock"
Are these plants the remains of a ring? 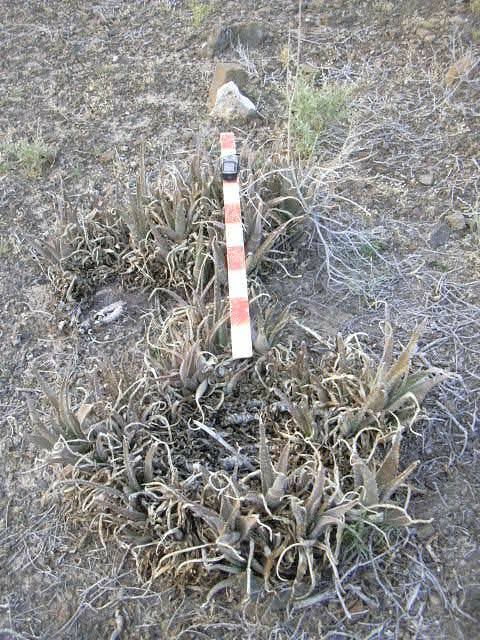 Two aloe vera rings on this grave; the result of two original plants?